Thank you so much for taking the time to write such a nice review. 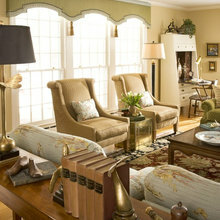 Its always wonderful working with you and we appreciate all the interior design clients you bring us as well. 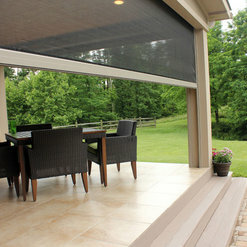 The professionalism and workmanship of the Blinds and Design team could not have been more exemplary. Work was done timely, efficiently, cheerfully and with extraordinary craft. 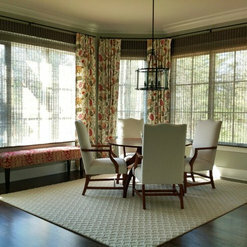 The project for my new dining room included tall, eccentrically shaped windows that required protective film, customized retractable shades, and the retrofitting of drapes imported from my previous home. Both Karen as the designer, Jessica who assisted me in selecting the shades, and Dan, the lead installer were a delight to work with. I could not recommend them more highly. 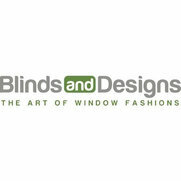 Blinds and Designs is a great company who is such a pleasure to work with. They have competitive pricing, fantastic products and a top rate showroom in which the products can be viewed, tried and selected. I couldn't recommend them more! 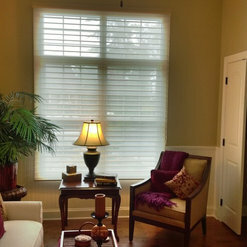 I've used Blinds and Designs for two of my homes! Their services are personal and detailed. They have come to my homes, given excellent advice (and I am opinionated! ), brought lots of samples and took measurements. They worked with me carefully through my budget on both homes. 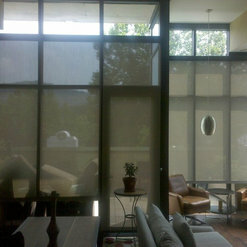 They even repaired a set of Hunter Douglas Silhouettes that were installed by my previous owners. I would use Blinds and Designs again and again. This is a family owned business and they really take care of their customers. 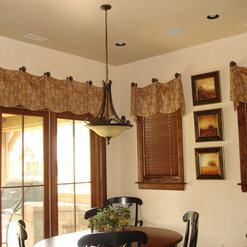 Glennwood has worked with Blinds and Designs on many projects and they have never let us down. 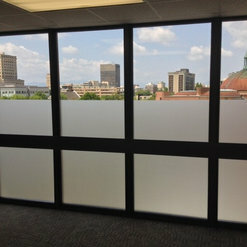 Blinds and Designs ARE the best in the area. Every member of their staff is an expert in their position. 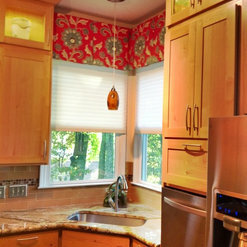 We recommend all of our clients to them because Blinds and Designs does exactly what we expect...takes great care of our clients and the finest quality work! My husband and I recently purchased a new home and were in need of whole house window blinds and a set of master bedroom draperies. 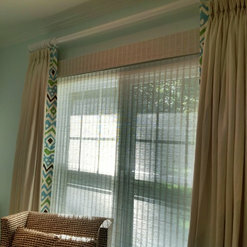 We enlisted the help of Blinds and Designs and they blessed us with sending Jamie Hartzog. 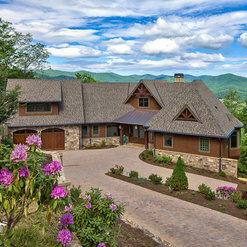 We could not have been more pleased with the process and the end result. Jamie was a pleasure to work with, was always prompt and quick to respond to our calls, the estimates were clear and accurate and installation was perfect. She guided us in our choices and we could not be more pleased with the results. We would highly recommend her. In fact, we will be using her again in the near future as we complete our plans for our home. Terrific service. 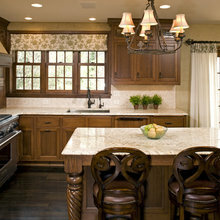 Up to date on latest trends and design. A++ on products and advice. Just plain nice people to work with. Highly recommend their business. Our house looks great. 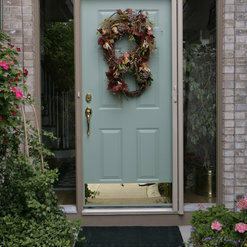 The sales rep was very professional and knowledgeable. 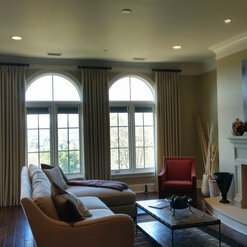 She was very helpful in selecting the right type of window coverings that would work best for us and also the color. I am very pleased with the blinds . The appointments were on time and the installer did a great job. I needed help with an oddly shaped window in my bedroom that had to be covered to keep out the sun in the morning. 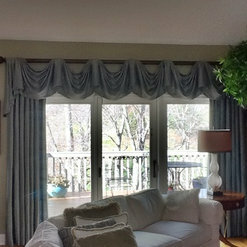 Jamie came and made a suggestion for a custom window treatment, which I ordered. When it was installed, I was surprised by how well it fit in the window. I had expected some light to get in around the corners, but it fit so well that no light could get in at all. Besides that, it was very attractive. I thought Jamie made an excellent suggestion and I was extremely pleased with the result. She was very professional and knowledgeable and I would definitely recommend her. 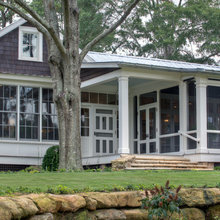 I have used Jaime Hartzog with Blinds and Designs for 3 separate projects starting in August 2012. She is a pleasure to work with, very knowledgeable about the products she sells and also has a very good eye for design. I've been impressed with everyone I've dealt with at Blinds and Design. I will call Jaime again when I start my next project. I have recently recommended her to a friend.